Good afternoon QCL guests and guides! 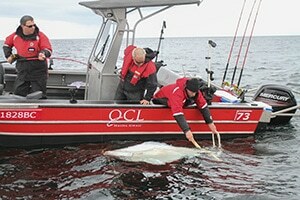 This weekend we had amazing Haida Gwaii weather and some great fishing. 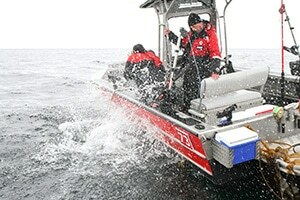 A ton of bait has moved into the fishing grounds and resulted in productive fishing at all major points. 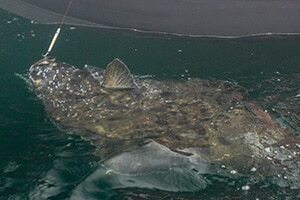 We had a couple of huge Halibut releases this weekend and a few Tyees made their way to the scale at the Bell Ringer. Faisal Somji released a big flattie that taped out to 121 lb. and Vance Blydo released a 100 pounder. Matt Mitchell was fishing with his buddy Barry Diebold and QCL Dock Manager Ryan Ashton when he hooked and successfully released a big 142 pound halibut. The story here is, however, that he was Buzz Bombing for lingcod when it happened! It took almost an hour of careful handling and the fish dragged them a couple of miles, but they got it to the top for Shooter to capture some cool pics before setting it free. Amazingly the little treble hook was only slightly bent when they removed it from the fish’s lip! Amazing story guys and well done Matt! The Driftwood has been out on the grounds serving up hot lunches to guests on the water. 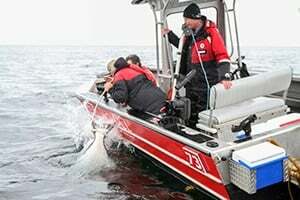 Several humpback whales put on a show for a few guests out halibut fishing off Shag Rock and Eddie the eagle made his first appearance of the season on Eagle Rock. We look forward to the coming week and seeing new and familiar faces around the lodge. Save a big one for me!! Six more days!